One of the key aspects of the iGaming industry is being able to understand what your customers want, and when they want it. When utilising an iGaming platform which includes countless variations of bets, and hundreds of thousands of players each enjoying their favourite games, it is imperative that you provide your customers with the right message at the right time. Players have a habit of revealing much more to you than they know. Just look at the way they navigate on your site, and the actions they take relative to the games they play and the bets they place. This type of data is essential when drawing up your next marketing strategy. Did your last welcome bonus provide more new player registrations than the previous? Did your last deposit bonus backfire? Critical player data can show you what’s working best and save you money the next time you launch a new offer. This is where the AXON Gaming solution comes into play – it streamlines the collection of player data and facilitates real-time communication between internal systems, empowering iGaming companies to increase their acquisition and retention rates through targeted marketing. Personalised messaging content is an essential tool that should be present in any iGaming company’s arsenal. Each player is unique, so no brand can afford to communicate with them in a generic way. AXON Gaming enables you to deliver optimized messaging, which increases the chances that your customers stay playing with you. 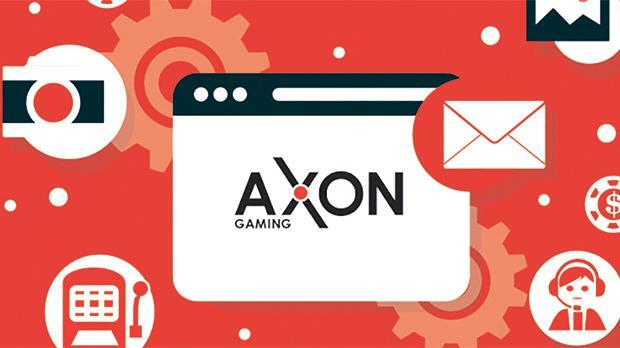 AXON Gaming enables iGaming companies to track and act upon critical data feeds in real time, while automatically triggering business related actions in various internal systems. This allows you to visualise and react to live data, providing you with a competitive edge against traditional BI platforms which typically analyse data on a historical basis. Additionally, AXON Gaming provides full integration of your internal systems, allowing you to compile and view data from one central location. This leads to a deeper level of data analysis and insight to trigger real-time alerts for mission critical business objectives. For more information contact Computime on info@computimesoftware.com or 2149 0700 to start optimising your gaming operation today.